We provide professional, fast, fun face painting, balloon twisting, glitter tattoos and crafts for children's parties. We're looking forward to entertaining at your next event! Great help with our party! Amber did Great! She was on time and she set up quickly and started entertaining the kids. We started out with face painting and then finished with balloons. She is very organized and worked fast and each kid got exactly what they requested from her. Our group was around 10-12 kids and she stayed for the hour. I think because she was very efficient and obviously experienced with her art and also little kids, she was able to get to each kid 2x with no problem so they could enjoy both services she brought to our party. I would use her again and recommend her to other friends. Thank you for having me at your fun party! This was the best possible entertainment! We had kids of all ages (1-13) and every kid loves having Sparkles and Swords there. They all waited patiently and Amber was so good with each of them. She was on time, perfectly priced, amazingly flexible, and adaptable to adjusting her time for us. Every mom at our party wanted to get her business for their next kids party. I highly recommend Sparkles and Swords! Great Work from Sparkles and Swords!! Amber did an awesome job of balloon twisting and face painting on my son's first birthday party. All the kids loved her work. We would definitely opt for her for any future events. We were very pleased with the services provided. She is very skilled in face painting, all the kids looked fabulous and were happy. We will definitely use her again and spread the word! Amber was awesome at our HOA fall festival! She was bombarded by kids when she first arrived but she made sure that she got to everyone - and they all left with smiles on their faces! She is a very talented artist, too! All of her creations were well done and the kids (and parents) loved them! We are so grateful we found her and would definitely love to have her back at future events! We recommend her to anyone wanting to add a little "sparkle" to their event. 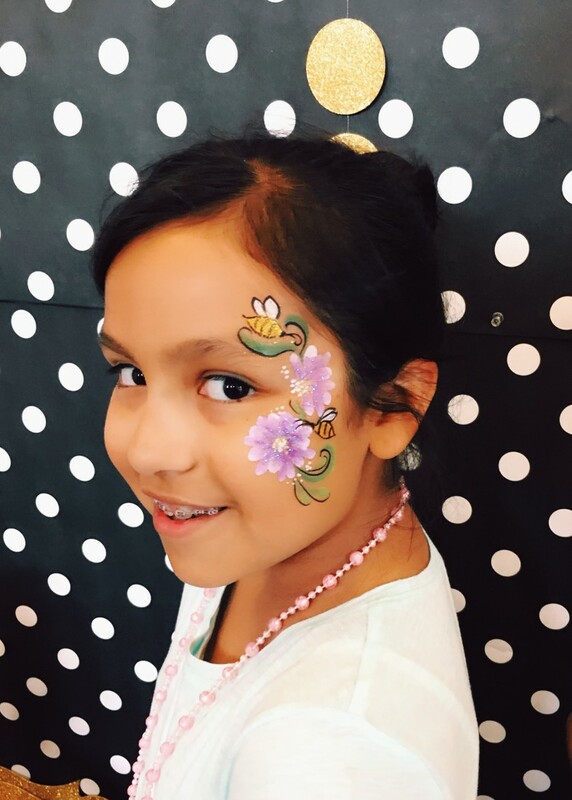 We had a great time and enjoyed Sharing the fun with face painting. Thank you for having me out to your party! It was a ton of fun! Completely affordable! Would definitely use then again. Amber was amazing and David was a huge hit. The kids and adults loved both the balloon challanges and the face painting. These two will definitely be at any future parties we have. Thank you for the great birthday party you guys helped put on! Amber is amazing, she works very quickly and does amazing work. All of our kids at my daughters 4th birthday party looked amazing and had the best time ever! I will be using this company again for all future parties. Pricing is very reasonable and worth every penny. So glad I got to have her at my daughters party, as soon as she got there the awkward stress of all is parents standing around and kids looking a little bored was over! Excitement and fun and totally made the party much more enjoyable! I could go on and on! Would give sparkle and swords a five star rating for sure. Had never seen such neat ballon animals either. The swords are awesome haha boys loved those! Monkey on a tree was so awesome I've never seen that before and it looked perfect! She did a great job. All the kids loved her work. 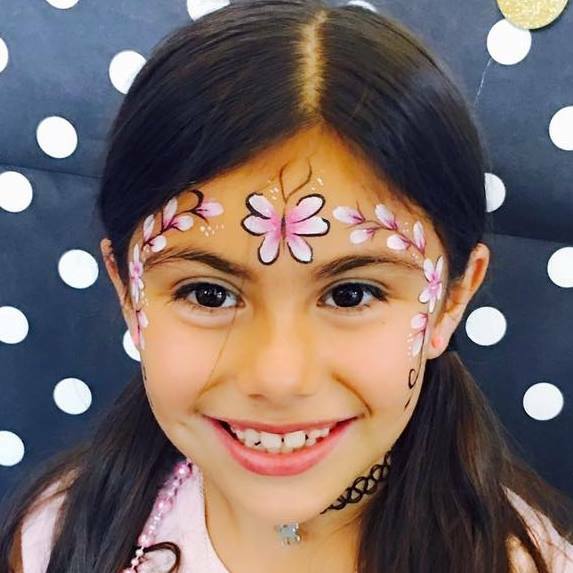 Face Painting: We use professional grade, FDA approved, washable face paint. We can create detailed, full faces for smaller parties (average 15 in one hour), and can also handle large crowds with faster, simpler designs (up to 25 in an hour). Glitter Tattoos: Glitter tattoos are an awesome way to have fun in the summer. Glitter tattoos are waterproof and can stay on for up to 4 days. With a large variety of designs for both girls and boys, this option is great for pool parties and parties involving water play. It's also very popular at Princess Parties. Balloon Twisting: Animals, swords, hearts and flowers - there's something for everyone in the wide array of balloons we can twist and we are fast! Costumes: We can provide some costumed characters. Contact us to find out who we have available. Crafts: Good for smaller groups of children, we can do a 30 minute themed craft which provides each child with a take-home souvenir. We are a family business. Stephen and Amber have been working with children for 20 years - as teachers, as volunteer workers working with underprivileged children and orphans in Mexico, and as performers at children's parties. Our teenage daughters have helped us as they were growing up, and have now joined in on the fun. 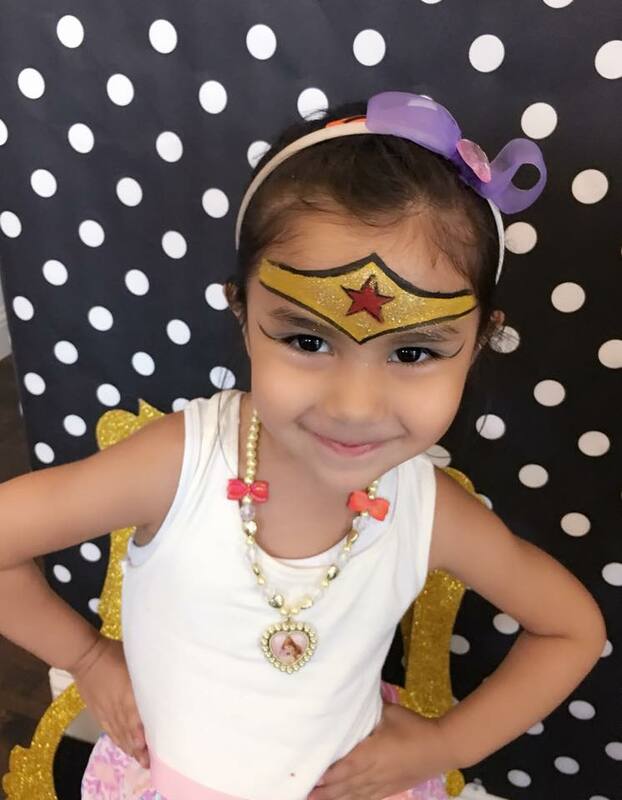 Our goal is for your children to have a wonderful, magical time and to make the experience as easy and smooth as possible. 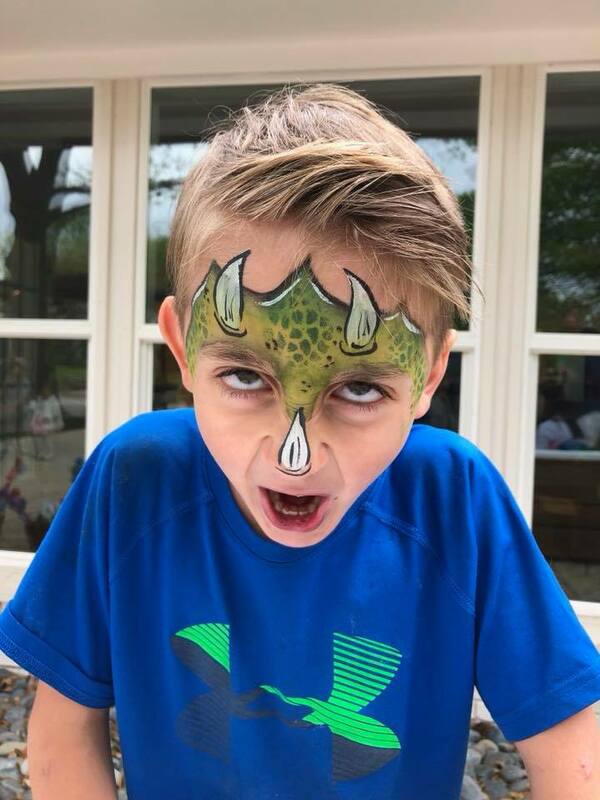 We can provide face painters, balloon twisters, some costumed characters, temporary glitter tattoos, crafts, games and an all around good time. We are located in McKinney, TX. We are willing to travel anywhere in the greater Dallas/Ft. Worth area, however jobs that are over 20 miles away will be charged a travel fee to cover extra gas and tolls. We provide all our own equpiment for facepainting, balloons and glitter tatoos. For crafts, we need you to provide the table that will accomdate the number of children attending. I just wanna say thank you for the great job you did at Leila's 1st Birthday Party!!! Everything turned out great!!! Thank you!!! Hi Amber I just wanted to take the time out to say thank you sooo much for your work at my daughter's first birthday party all the kids loved it. It was a huge success! !